Like the dense clouds that envelop Machu Picchu in the morning, the city and much of its history are enveloped in a great mystery. The Incas never had a writing system, so there is no record of the history of the ancient city that was abandoned almost intact, around 1540. What is known of Machu Picchu before 1911 are theories and hypotheses that until today many archaeologists struggle to explain. For example, nobody knows why such a magnificent city was suddenly abandoned. When you see the incredible structures of the city and the effort it took to build it in the middle of those mountains, you will think that the people who lived there should have a “very good reason to abandon it”. Some of the best clues to reveal the mystery of Machu Picchu is perhaps the Museum of Casa Concha, in the city of Cusco. The most probable theory is that the population of Machu Picchu, as a large part of the civilization of the Inca empire, was devastated by a disease from the old world with the Spanish invasion in the sixteenth century. However, someone had to carry the disease with him, since there is no indication that the Spaniards have ever reached the city among the mountains. The lost city of the Incas? 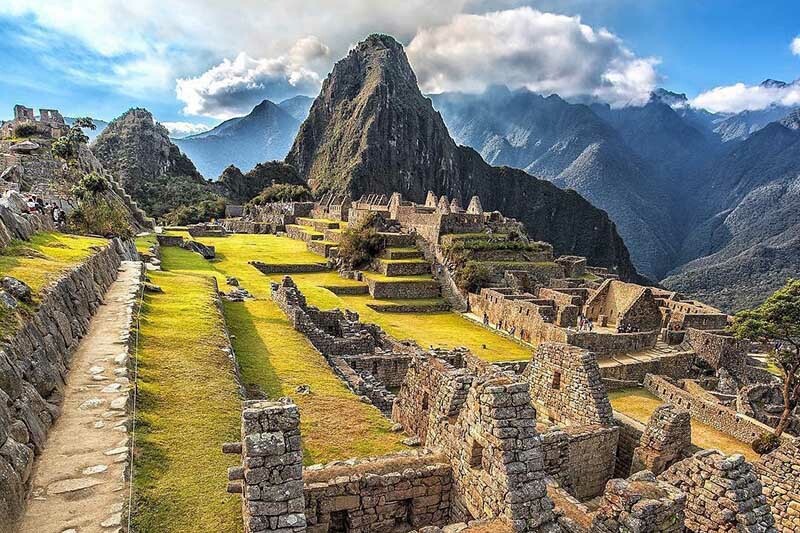 The “lost city of the Incas” is a nickname something out of place, to put it mildly, since Machu Picchu was never lost, people always knew it was there. They put it for what we would now call a marketing strategy, to attract as much attention as possible. Hiram Bingham learned of the ancient city of the Incas by a local farmer. In 1911 Machu Picchu was made known to the world and more than 4000 artifacts were extracted from it that were taken to Yale University in the United States. Yale (United States) took about 100 years to return objects extracted from Machu Picchu during excavations. 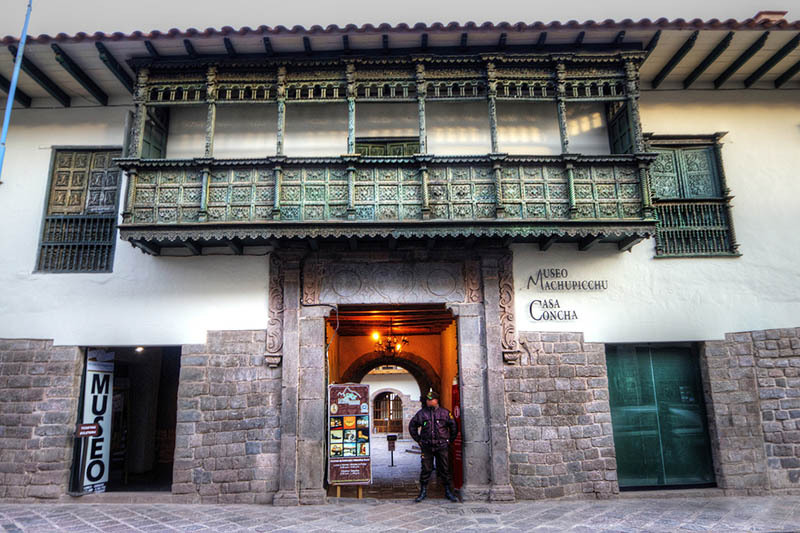 At present, most of the objects can be seen at the Machu Picchu Museum in Cusco, also known as the Concha House Museum. Getting the United States to return the items turned into a bitter battle for custody; in the end it was agreed that academics from both countries can have access to the collection. And although there are still some items left in the Yale museum, most can be seen at the Machu Picchu Museum of Casa Concha, which opened in 2011. Here you can see the missing pieces of the puzzle, and the results of the research of the last 100 years. This provides a crucial context for your trip to the Inca city of Machu Picchu in Cusco. It is true that the Museum of Casa Concha will not solve all your doubts about the amazing structures of Machu Picchu; indeed, it is likely to enlarge them, but it will also enlarge their knowledge of one of the wonders of the world , and one of the most amazing places in existence. Some other places that can complete the puzzle of the mysteries of Machu Picchu are Ollantaytambo, Pisac and other archaeological sites and museums, inside and outside the city of Cusco, but all very close together. Cusco is the ideal place to tour, before seeing the fabulous Inca city of Machu Picchu. It is impossible to visit any of the remains of the Inca constructions and not feel a deep respect for the Inca’s building ability, but there is a bewildering amount of detail about how they could carve the granite rocks so amazingly. These terraces were built so that it could be cultivated in mountainous terrain and to make the most of the water, since there is an irrigated and drained system in Machu Picchu that is about 60% of the total of the constructions of the city, and is under earth. Despite having been buried 400 years under the undergrowth, no great damage was reported to the ancient city; however, the thousands of visitors who arrive every day to Machu Picchu are causing irreversible damage, so much that it was necessary to modify the regulations of visits to protect it. Another test that had to pass the Inca city of Machu Picchu occurred in 1950, when a devastating earthquake struck Cusco, destroyed half of the city. But Machu Picchu remained intact, and if you think that the blocks of stone with which are built their structures are not subject to anything, it is even more incredible. Yes, Machu Picchu is built in the style of Minecraft or Lego, with blocks fitted to perfection, without any mortar or glue that holds them together. Construction techniques are still a mystery. But what could be unearthed from there, is in the Machu Picchu Museum of Casa Concha, five minutes from the Main Square of the Cusco. The Concha House Museum contains many of the artifacts recovered from the excavations carried out by Hiram Bingham in Machu Picchu. Its themed halls are set around a central courtyard surrounded by arches. 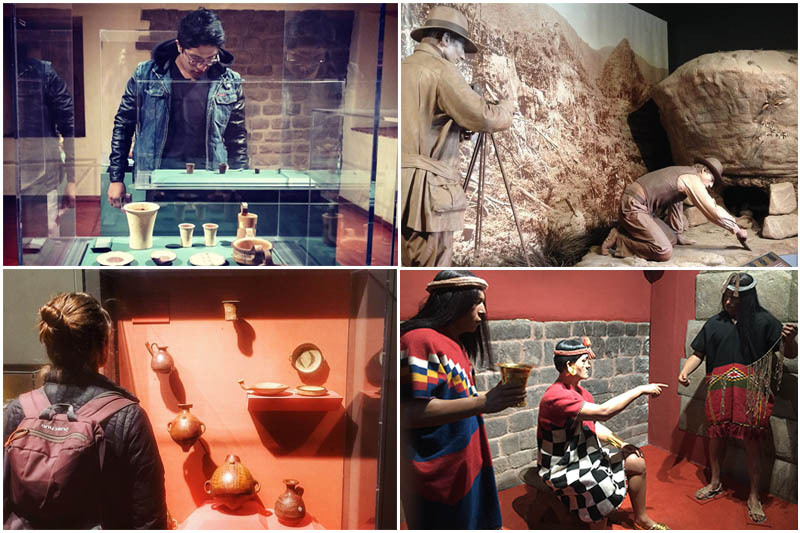 It houses the collection of objects returned by Yale, from the excavations of the Inca city of Machu Picchu since 1911, interactive exhibitions and videos that try to explain about the Inca civilization. They mainly include pottery with incredibly intact pieces, jewelery, bones, tools and other objects. The first part of the excavations consisted of the mapping, the location of the objects and then their extraction. These were in more than a hundred small caves (niches) of the surroundings, in them the people buried to their dead and they had the habit of doing it with some of their personal belongings. They found objects, skeletons and fabrics that give a pretty convincing idea of how the people of Machu Picchu lived. The scale model of Machu Picchu will give you a very clear perspective of the true extent of the city over the mountains. But there is no better view of Machu Picchu, than you can have from one of the mountains around you, Machu Picchu or Huayna Picchu, you choose. If you choose the Huayna Picchu mountain, you must book the tickets months in advance. That may be so; however, the museum offers an excellent view of life in the city of Machu Picchu. Archaeologists concluded, thanks to this, that the city was built and occupied between 1450 and 1540, before being mysteriously abandoned. The skeletons do not reveal signs of hard work or violence, and life seems to have been very quiet. There were people engaged in mundane activities such as cooking, preparing chicha (maize beer), cleaning and producing metal objects. The elite, therefore, devote their time to banquet, hunting and religious worship. The museum will allow you to take a pc and virtually explore the ruins, you can zoom in on areas of your interest and do a close inspection of 360 degrees. When you are in this room, look back, suddenly there is a queue waiting. The virtual tour is accompanied by the narration of a Yale expert who explains in detail each section. Remember, you can tour Machu Picchu in Google Street View or see some hundreds of millions of photos of the wonder over the internet, but nothing compares to being in Machu Picchu and seeing what they were able to build in those mountains. But definitely, something that will take your breath away is not precisely the height of Machu Picchu (2,400 masl), but rather the impressive energy of the place. Place your hands near the Intihuatana, but do not touch it, it is prohibited.